A collection of seemingly fragile glass orbs hang gracefully from the ceiling by silver chains. 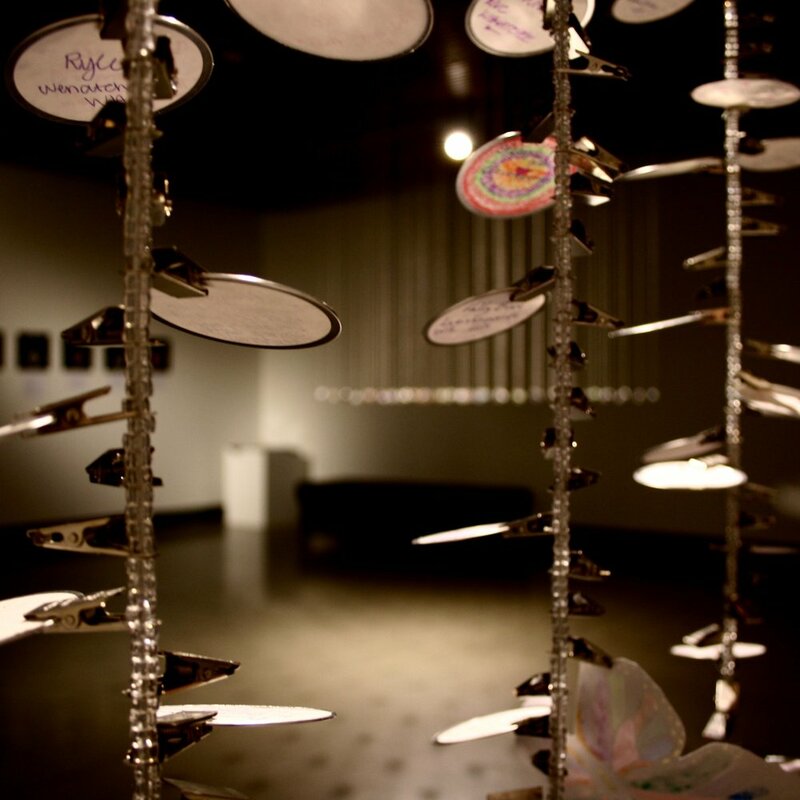 They are not empty: Each contains unique objects representing diverse stories of individuals who have experienced sexual violence. This is what it’s like encountering Mere Objects, at least for me. I can't imagine I’m the only one. Sarah Jane and I recently talked about her ongoing project Mere Objects, a participatory art installation honoring people who have experienced sexual violence. Those who choose to participate submit small objects that represent their experience with sexual violence — some objects are representative of hope or healing, others of pain, anger, or any combination of these. This project offers somewhat of a sacred space to interact with this often unspoken issue. and space to do something about it. From the start, Sarah Jane's intention for this project has been to hold space, first for those who, like herself, have experienced sexual violence, and then for the rest of the community. Referring to the minimalist design of the installation, she notes, "I wanted to remove my artistic 'hand' from the design; I wanted to make sure that my own experiences of sexual violence didn't drown out other, equally important, voices and experiences." The objects are always at the center of the viewer's attention, while the other design elements work to emphasize this experience. Art is a powerful means to create space where individuals can reclaim identity through a voluntary act of vulnerability. Both the individual and collective elements of this artwork nudge at our humanity. 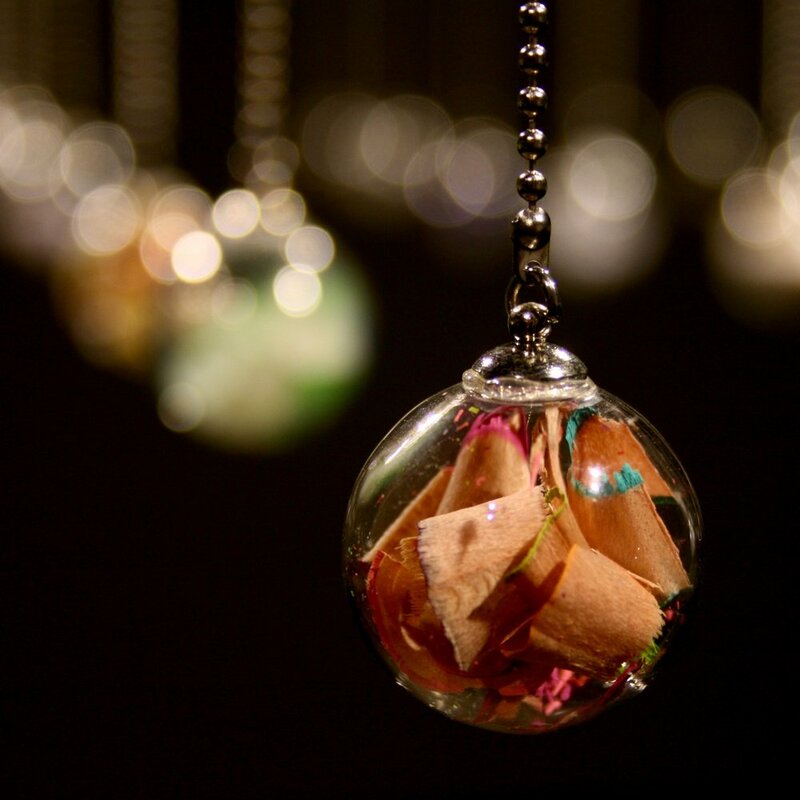 Sarah Jane says, "Individually, [the objects] speak to the uniqueness of each person and each experience, but together they become an embodiment of collective truth-telling, and the powerful human drive to express ourselves and create beauty even out of chaos and pain." 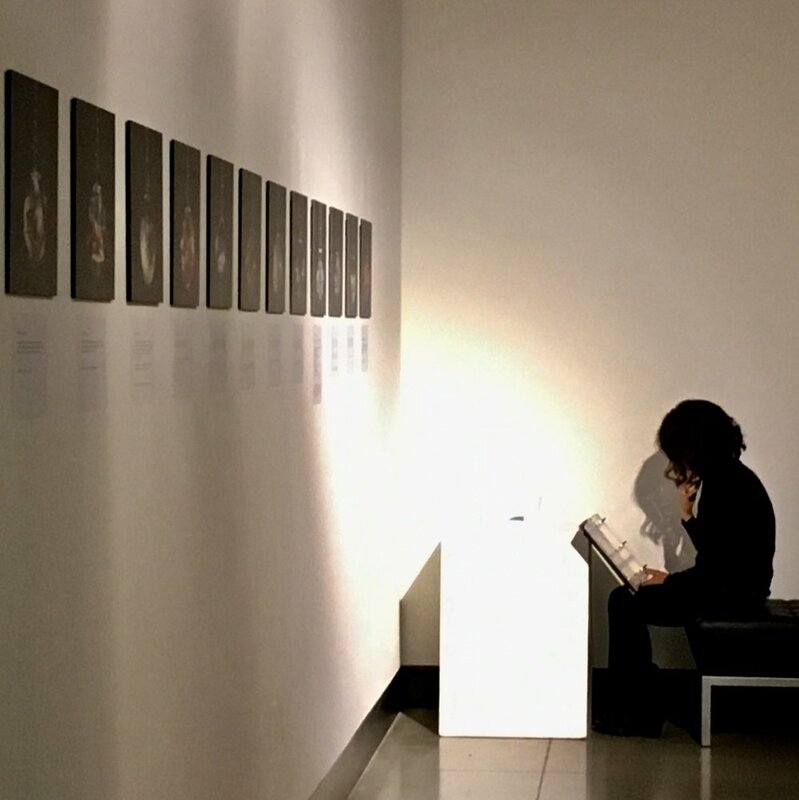 Not only does this project hold physical space in a gallery setting, but also virtual spaces online where people can engage with the realities of sexual violence and walk through them together. Intentional spaces where people can speak truth in the safety of an affirming community become especially vital in a society that too often invalidates the experiences of hurting people. For me, Mere Objects has been a place of deep contemplation. I have wrestled with feelings of hopelessness at the magnitude of sexual violence, but I also feel of deep admiration and respect for those who persist, whether they choose to share their story or not, in a world that denies the severity of this injustice. It's one thing to feel a tinge of empathy at viewing a statistics chart, and quite another to face the wave of emotion while engaging with the full reality of another human's experience — a reality that has been made more tangible in this work. I am grateful for the space that Mere Objects has made to engage with this reality. I am moved by art that does more than sell what is comfortable, by art that holds space for what is truthful and alive, by art that seeks to breathe life back into a broken humanity. About the author: Courtney Rutzer is an artist and writer who focuses on the intersection of creativity and justice work. She lives in the Seattle area.